In 2017, Wheaton Precious Metals commenced a partnership with The Nature Trust of BC to help support land conservation efforts in British Columbia (“BC”), the most biologically diverse province in Canada. Over 70% of all of Canada’s vascular plants, birds and mammals live in BC. The province is also known to have a majority of the global range of 99 species. Conserving species is most effectively achieved by protecting the habitat where they live and this is the role that The Nature Trust of BC takes on. 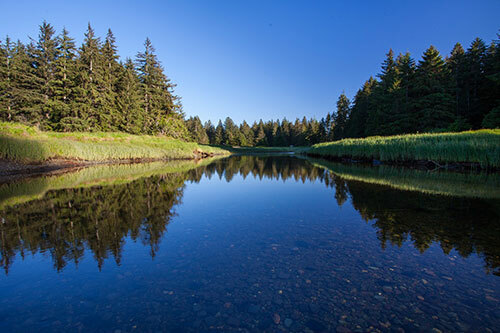 Founded in 1971, The Nature Trust of BC is a non-profit, non-advocacy land trust that seeks a balance between sustaining our environment and sustaining our economy. They conserve habitat by acquiring ecologically significant land and then caring for it. Land complexes are assembled to protect functioning ecosystems and ecological processes, especially in light of climate change. The Nature Trust’s properties have formed the core lands for several major conservation programs, numerous wildlife management areas, provincial parks and other conservation initiatives. The lands are still typically available for public use, subject to some guidelines to ensure the habitat is not compromised by certain activities. Securing the land is mainly achieved through partnerships with all levels of government and other conservation organization, along with individuals and corporations. We are proud to partner with this invaluable organization that is making a difference in protecting the local environment. Learn more about The Nature Trust of BC here.